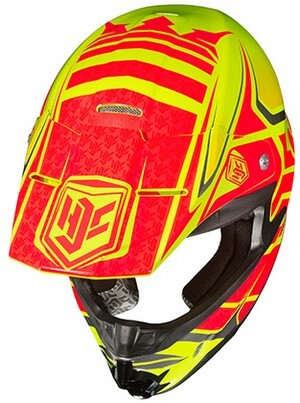 The HJC FG-X motocross helmet is designed for the adventurous off road rider. Meeting both D.O.T. 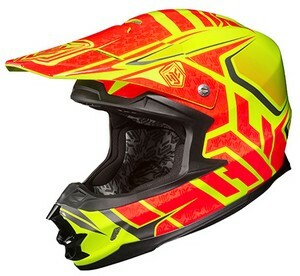 and Snell 2010 helmet safety ratings, the FG-X from HJC has the features most desired in a motocross helmet. 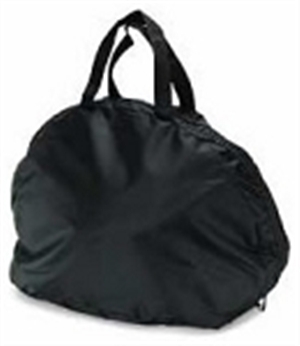 The shell is a lightweight composite of Fiberglass and Kevlar for maximum strength. 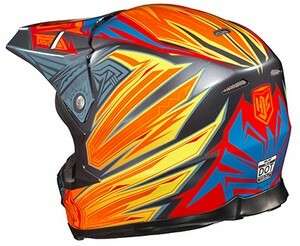 The interior of the helmet is composed of moisture wicking and odor free materials for maximum comfort. 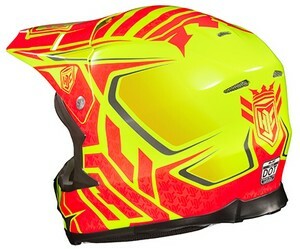 The over sized eye port on the FG-X allows for maximum visibility and superior goggle fit. The HJC FG-X weighs only 3.31 pounds thus reducing neck fatigue during those last few laps around the track. Maximum visibility and superior goggle fit. Multi-Stage top and forehead intake vents combine with rear exit vents to provide flow-through ventilation that helps to pull heat and humidity up and out of the helmet's interior. SilverCool Moisture-wicking and odor-free interior with advanced silver antibacterial fabric. Removable, washable chin strap sleeves included. Construction: Fiberglass with Kevlar Reinforcement. Weight: 3.31 pounds / 1500 grams (based on Size Medium Solid Color). Packaging: Individually wrapped, bagged and boxed.